R-Studio is server based data recovery program used to recover delete pictures, programs, archives, videos, audios and important office files from any type of media. It support both NTFS and FAT formats in Windows. However, you can also find support for UFS1/UFS2 and Ext2FS/3FS file systems. These both formats were used in Unix and Linux operating systems. We lost data or information after receiving hardware failures, OS crashes, virus and malicious tool attacks. However removable media including SD cards, micro SD cards, flash drives and other external imaging media also facing corrupting and formatting issues. R-studio has the ability to scan for custom file extensions including .MP4, 3GP, AVI, MPG, JPEG, JPG, PNG, BMP, DOC, RAR, ZIP, PDF, DOCX, XLS, XLSX and many more. R-studio has powerful algorithm system which will insist target drive to scan metadata. 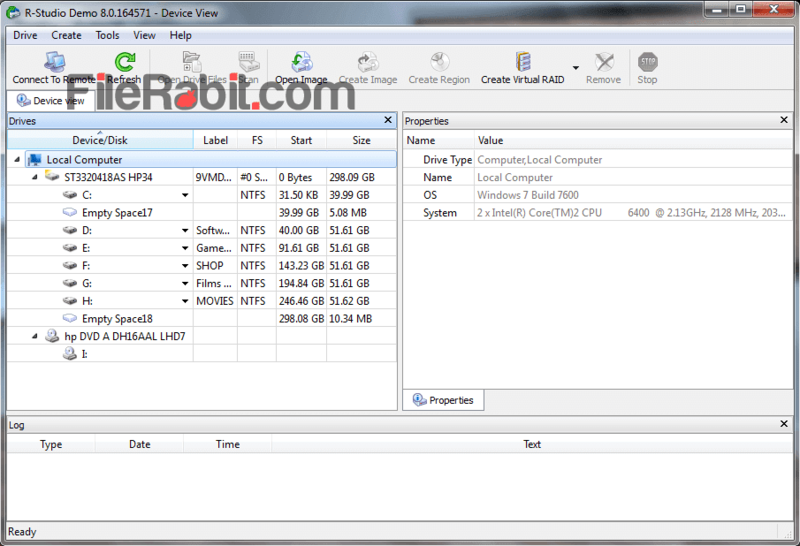 RAID and dynamic systems are supported including the encrypted files. It gives flexible preferences and gives complete control over wiped disk drive. 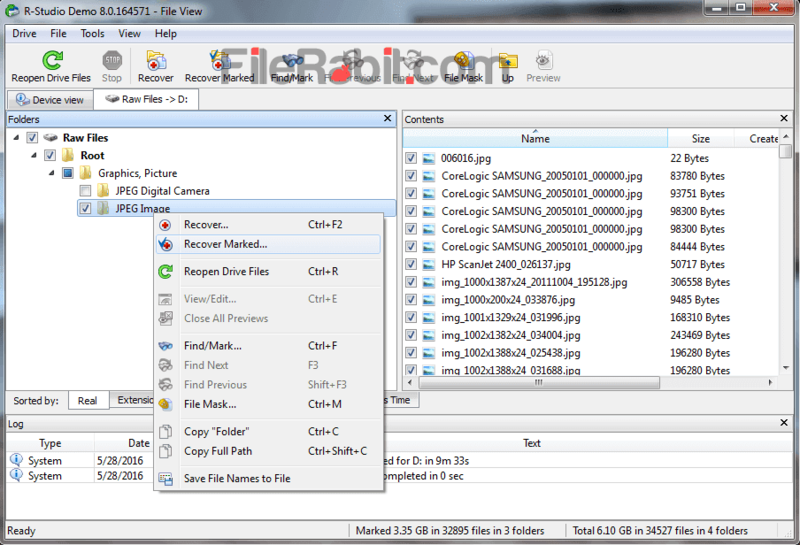 Scan faster or slower, choose single or multiple known file extension and save selected files or save all, everything is controllable by user. R Studio network edition is more powerful developed especially for large network based computers or servers. It performs deep scan to check destination files in each sector of hard drive or removable media. However, R-studio has an internal file viewer plugin that is used to preview audio, videos and graphics. 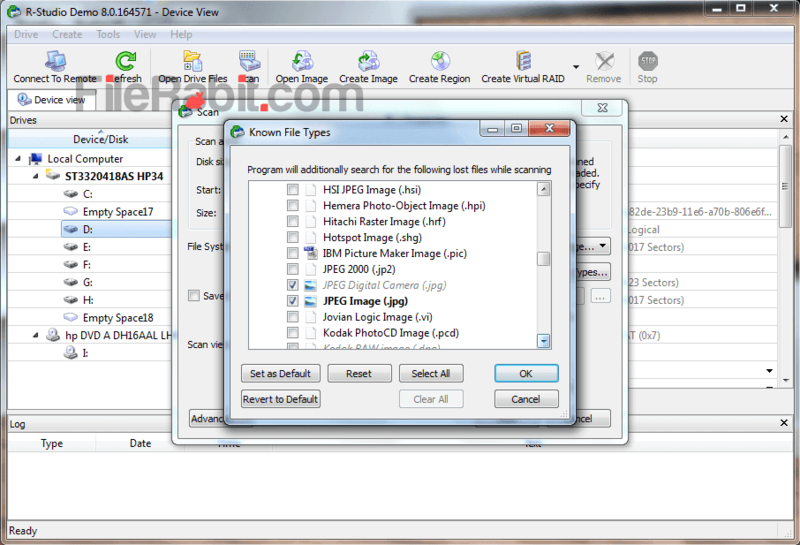 You can simply mark specified images that you want to recover and save them without wasting time.